Fun and creative way to inform friends and family of your big day. 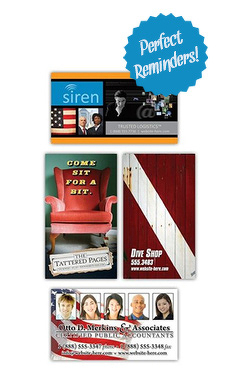 Our rush business card magnets are professional and very inexpensive. Available in a 24 hour turn time, brand your company with our business magnets that are sure to stick with your clients. The Business Card Magnet is our top promotional product that keeps selling and promoting your business long after the other competition. Personalizing your business card magnet with your specific services and/or contact information is a cost effective way to grab your current and potential customers’ attention, ensuring that your message will stick in their minds.